Yeppoon has become a popular playground for Aussies looking to escape the big freeze down south. The rest of us can there all year round. People flock there in their thousands between March and October each year. It is particularly popular with families. It is close enough to comfortably drive there in a day or two from the southern states, yet it always seems to be warm. Nearby Rockhampton, which borders the tropics, Yeppoon has the best and most agreeable climate in Australia according to the scientists. You reach Yeppoon by veering east off the Bruce Hwy just north of Rocky and heading for the coast. 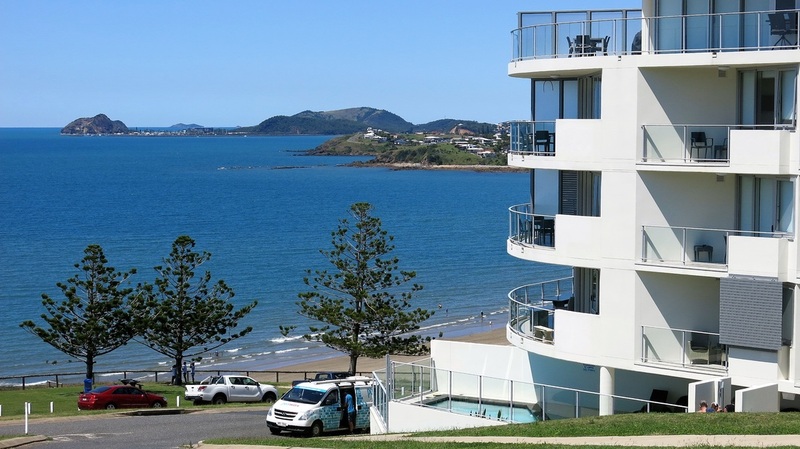 It is the glittering jewel in the Capricorn Coast, a string of seaside communities stretching north and south. A tropical town, it lies 700 km north of the Queensland capital of Brisbane. Just off the coast, within sight, is Keppel Island which can be reached by daily ferry services. I drove to Yeppoon open minded about what I would find. I knew virtually nothing about this much touted holiday paradise. It turned out to be a typical seaside resort town with shops galore, a well-developed shoreline and the mandatory row of Norfolk Pines. Most people stay in the apartments that overlook the town and climb upwards over the steep hill besides the main street. The views are sublime. Sparkling turquoise blue waters, islands and palm trees combine in an intoxicating landscape. Downtown Yeppoon was less sublime. Hordes of tourists and long lines of traffic signalled “school holidays”. I wandered down to the beach and was quite surprised to see people swimming. I thought all northern beaches were dangerous, with crocodiles and deadly jellyfish vying with the sharks for the tasty “humans”. There are beaches galore in this area and it is easy to find a secluded spot you have all to yourself. I had heard about the famous Capricorn Resort, so I drove for 20 minutes out of town until I came to the resort sprawled out over hundreds of hectares. It came as quite a shock to find it had closed down. Worse still, the once beautiful championship golf course next to the resort had been allowed to “return to nature”, which was a quaint way of saying it had been abandoned. The other 18 hole course was still open and looked to be in good condition. Locals told me that the resort was being refurbished, but I think it has become another casualty of Australia’s high cost of holidays compared to cruise ships, Bali and Fiji. It is cheaper to fly to Bali from Sydney and stay in a quality hotel for two weeks than it is to spend a week in Yeppoon. Still, there were thousands of people in the town so the closure of the resort didn’t affect Yeppoon as much as I thought. 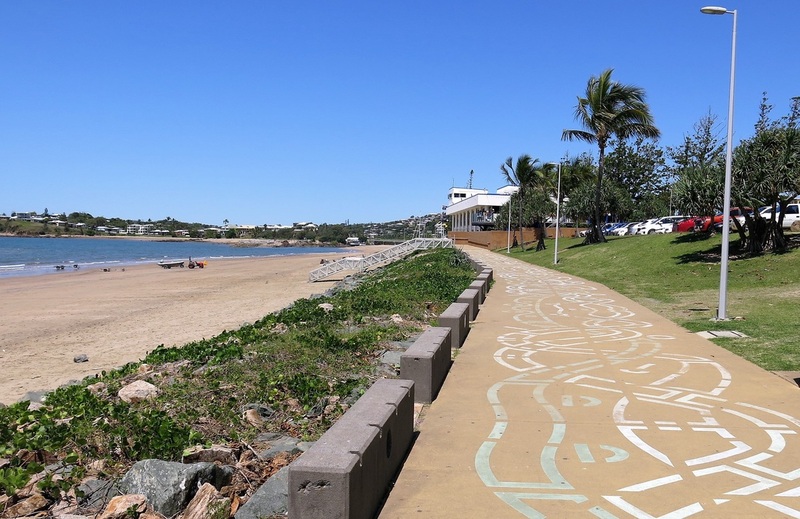 Yeppoon has only entered the national psyche in the past 30 years or so, but it has a long history dating back to the days of gold mining and sugar cane plantations. A railway used to link the town with Rocky and the station has been preserved. In the hills to the north west of town is the quaint little town of Byfield. It is set in Byfield State Forest which looks more like a North American forest than Australia. Thousands of hectares of plantation pines have been cultivated. 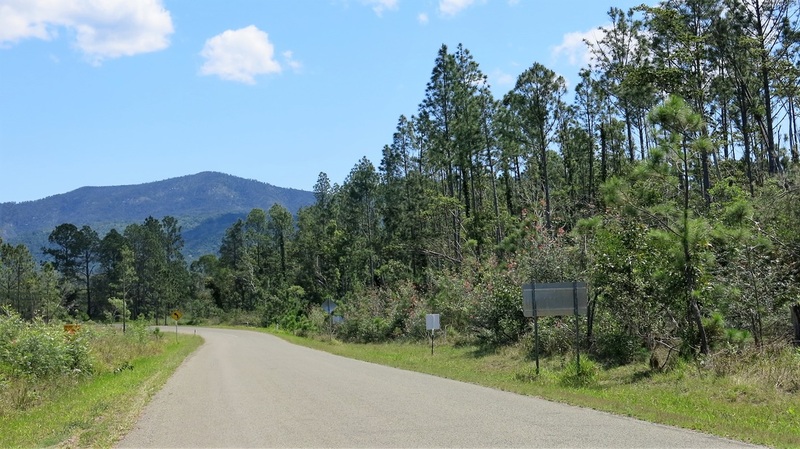 Nearby is Byfield National Park which has some stunning waterways and sub-tropical forests. So, when the weather turns cool next year, may I suggest you head north to Yeppoon for a break. You won’t be disappointed. 1. 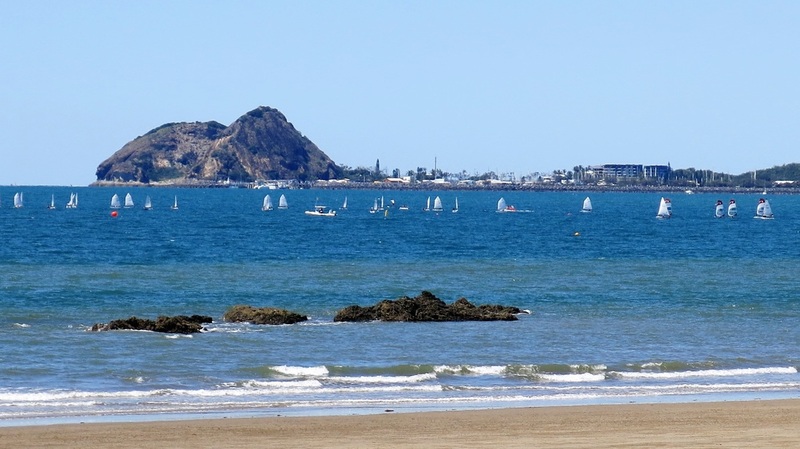 Yeppoon is fringed by islands. 2. Sublime views across the tropical waters. 3. 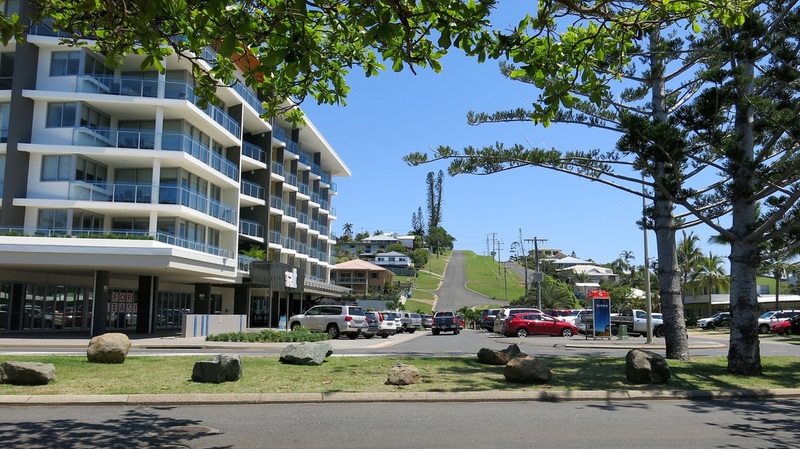 Apartments abound in Yeppoon.